Tonight’s finals at the 2016 NCSA SPring Junior National Championships will include the 50 back, 200 IM, and 50 free individually, as well as the 400 medley relays. One of the most exciting races of the night will be the women’s 200 IM, where Margaret Aroesty will square off with Katie Drabot. 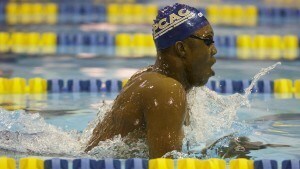 Reece Whitley will take on his signature 200 breast at tonight’s NCSA Spring Junior National Championships. See all race videos from day 3 of the 2016 NCSA Championships in Orlando. Magnolia’s Lucie Nordmann will lead the 100 back final tonight, after a quick 53.09 this morning. She split the swim with a first-50 25.75 and a second-50 27.34. After Nordmann, the field is packed, with only about half a second separating the remainder of the championship final. Autumn Haebig of Ozaukee qualified second with 53.96, followed by Eireni Moshos of Nation’s Capital in 54.02. A pair of Suburban Seahawks hit next, as Alexandra Sumner and Caroline Famous took the fourth and fifth spots. Famous, at 14, is the youngest swimmer in tonight’s ‘A’ final. Moshos’s teammate Carrie Boone took sixth in 54.35, and Hannah Lindsey and Erin Earley tied for seventh in 54.49. The boys’ 100 back was dominated by the 17-18 year olds, and Metro Atlanta’s Dean Farris will lead the final tonight after clocking 47.60. He split 22.95 and 24.65. Nova’s Frederick Schubert was the other swimmer under 48 this morning with 47.89. Ethan Young hit third in 48.26, followed by Dylan Curtis in 48.90. The other four swimmers were packed in close. Sam Cuthbert swam 49.04, George Wozencraft and Luke Sobolewski each hit 49.05, and Tyler Sesvold will round out the ‘A’ final with 49.11. Michael Andrew missed the ‘A’ final, finishing 14th with 49.44. Paige Madden was the decisive leader this morning in the girls’ 500 free, outswimming the field by over four seconds with 4:42.17. A pair of 16-year-olds, Morgan Tankersley and Isabella Rongione each hit 4:46 for the second and third seeds, with Tankersley swimming 4:46.59 and Rongione swimming 4:46.78. Genevieve Pfiefer, another 16-year-old, took the fourth spot with 4:47.17, followed by Stanford commit Katie Drabot, yesterday’s champion in the 200 free and 50 fly, in 4:47.75. Lindsay Stone, Megan Byrnes, and Joy Field will round out the championship final, after all coming in under 4:49. Dean Farris, a Harvard commit, is two for two this morning, scoring another first seed in the 100 free by a quarter of a second with 43.77. He was the only swimmer under 44. Daniel Krueger came up second in 44.09, and David Madej was .39 seconds back in 44.48. Both swimmers are 16 years old. After that, James Murphy, Samuel Pomajevich, Thomas Cope, and Justin Rich all finished under 45. Aaron Schultz of Nova will round out the ‘A’ final in 45.02. Michael Andrew finished 38th with 46.16. Earlier this week, Margaret Aroesty became the youngest female swimmer ever under 59 seconds in the 100 breast, and tonight she will be the top qualifier in the 200 breast. However, Aroesty, who swam 2:11.87 (a little off her best time 2:11.67) has a strong challenger in the form of Northern Kentucky’s Virginia commit Madeleine Vonderhaar, who came in just .02 back in 2:11.89. 14-year-old Kate Douglass also put up a strong showing this morning with 2:13.04, which just missed her 8th all-time in her age group 2:12.81 from last year. Halladay Kinsey and Halle Morris also hit low 2:13s with 2:13.13 and 2:13.19, respectively. Alexis Yager, Jaclyn Hill, and Kristina Murphy will also compete in the ‘A’ final tonight. 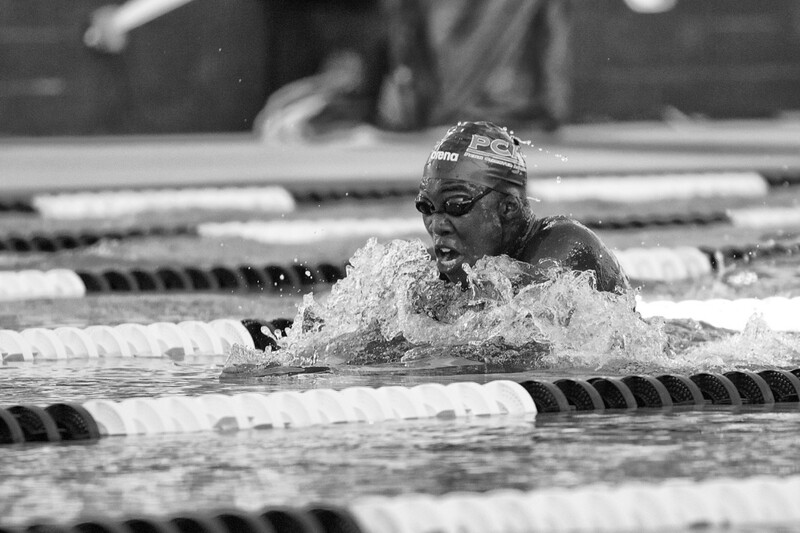 16-year-old Reece Whitley came in within a second of his own NAG record 1:53.66 in the 200 breast from December’s NCAP Invite, swimming 1:54.43 in the 200 breast this morning. He will be the uncontested favorite tonight. Three seconds back was Georgia Coastal’s Brennan Pastorek in 1:57.63. Nation’s Capital’s Spencer Rowe, another 16-year-old, was a close third with 1:57.79. Daniel Chang, Michigan commit Jacob Montague, Thomas Cope, and yesterday’s 400 IM champ Charles Swanson all came in under 2:00, and Timothy Wu of Nation’s Capital will round out the group with 2:00.25. 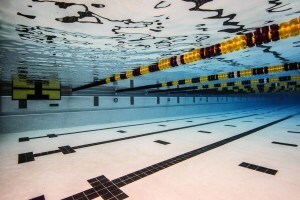 The Nation’s Capital girls dominated the prelims of the girls’ 100 fly, as Duke commit Kylie Jordan and 16-year-old Jasmine Hellmer nabbed the top two spots, each with personal best swims. Jordan clocked a 53.23 for the top seed and Hellmer swam 53.51. Two 16-year-olds, Skylar Fore and Taylor Pike took the next two spots in 53.59 and 53.72, followed by 15-year-old Elizabeth Menzmer. Kansas high school record-holder Cailey Grunhard, Molly Sheffield, and Amalie Fackenthal will round out the final. The #2 all-time 15-16 100 yard flyer, Camden Murphy of Kingfish, will be the top seed in the event tonight. Murphy swam 46.96 this morning, within a second of his best time, 46.25, and the Michael Andrew NAG record, 46.23. Frederick Schubert of Nova took the second slot in 47.57, followed by Nicolas Albiero, another 16-year-old, who missed his #13-ranked best time by .02. Dean Farris scored his third final of the day with 47.69, and Samuel Pomajevich also came in under 48 with 47.99. Aaron Schultz, Miles Smachlo, and Alejandro Carriazo also made the championship final with their sub-49 swims this morning. Michael Andrew will swim in the ‘B’ final after getting 11th with 48.92. Tonight’s boys’ 800 free relay looks like it will be a battle between Nova and the Dayton Raiders. This morning, Nova’s Aaron Schultz (1:38.35), Frederick Schubert (1:37.54), Charles Swanson (1:38.11), and Jacob Johnson (1:39.28) just edged out Dayton’s Cody Bybee (1:38.28), Thomas Cope (1:37.11), Eric Knowles (1:39.14), and Dylan Curtis (1:38.77) by .02 seconds. Nova swam the race in 6:33.28, while Dayton hit in 6:33.30. The Nation’s Capital team of Aidan Pastel, Lane Stone, Brandon Fabian, and Samuel Pomajevich will have the third seed with 6:38.54. 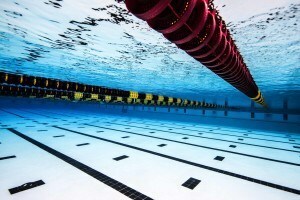 Nova’s ‘B’ team, the Cincinnati Marlins, Machine Aquatics, NCAP’s ‘B’ team, and the Academy Bullets also made the top eight. Yikes. Maybe he was trying something new by playing coy in the morning to go big at night? Did he swim at all this morning? Michael Andrew did terrible this morning. I think the question really is will Andrew even swim tonight since he has no chance to win? could very well be in a massive USRPT fatigued state right now. Hope team Andrew perseveres through this difficult time.